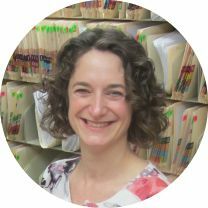 Dr. Braun graduated with honours in 1996 from the University of Victoria with a Bachelor of Science degree majoring in biology. He received his Doctor of Dental Medicine from the University of British Columbia in 2000, earning a scholarship in Prosthodontics. Dr. Sollid attended the University of Victoria from 1992-1995, majoring in biology. She received her Doctor of Dental Medicine from the University of British Columbia in 1999, graduating at the top of her class. She received numerous scholarships and awards, including the College of Dental Surgeons Gold Medal and the Canadian Dental Association President’s Award. Both Loren and Jaci are members of the Canadian Dental Association, the BC Dental Association and the College of Dental Surgeons of British Columbia. They enjoy practising all aspects of family dentistry and welcome patients of all ages. They take pride in keeping their dental knowledge current by attending a variety of continuing education courses, study clubs and conventions. On a more personal note, Jaci and Loren married after meeting in undergraduate studies at the University of Victoria in 1993. 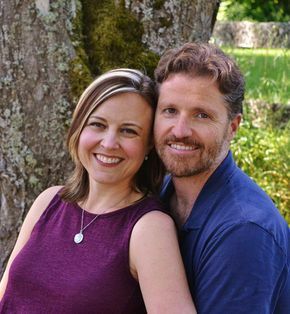 After graduating from dental school, they moved to Sidney to set up a dental office together. As their practice grew, so did their family... they now have two young boys, Riley and Payton. At this time, Jaci is not practising dentistry due to neck problems. While Loren continues to care for their patients at the dental office, Jaci keeps busy with home-schooling their kids. 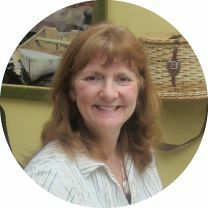 Liz entered the dental field in 1977 as a certified dental assistant, and then later switched into the role of a receptionist, which she loves. Outside the office, she enjoys growing dahlias, cooking, hiking and exploring the outdoors with her family and two dogs. Liz is also an active volunteer with the Saanich Fair each year. Ashley joined our office in 2009, immediately following the completion of her dental assisting degree. She loves the career path she has chosen and enjoys coming to work each day. Outside of the office, Ashley enjoys anything to do with outdoors, playing with her puppies, cooking, gardening and challenging herself in events such as the “Tough Mudder”! 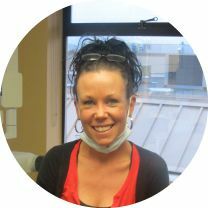 Katja has been in the dental field since 1988, first as a certified dental assistant, then later training as a dental hygienist. She was born and raised in Berlin, but has made Vancouver Island her home since 1999. Katja enjoys the outdoors, sports activities, and spending time with her partner and two energetic dogs. She can also be found running races and fundraising for MMRF during marathons. 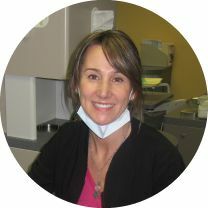 Tina initially trained as a certified dental assistant in 1988, making the switch to reception in 2011. She still enjoys the dental field after all these years! When not working, she likes to try new recipes (her Flourless Chocolate Cake is to DIE for), card making and scrapbooking. Tina also enjoys spending time with her family, biking or hiking the trails in Dean Park. 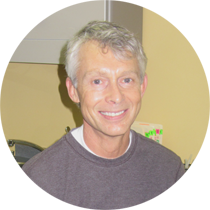 Trevor has been a hygienist since 1996, joining our office in 2007. Patients appreciate his thorough yet gentle approach and his easy-going personality. When not at work, Trevor can be found running a marathon somewhere in North America (he has run well over 50 of them) or hanging out at his cabin outside Winnipeg! Karen has been a certified dental assistant since 1995 and still loves it. When not at the office assisting Dr. Braun, Karen can be found, alongside her husband, cheering on their two teenage sons on the sidelines of the soccer field. She also enjoys gardening, playing the piano and scrapbooking. 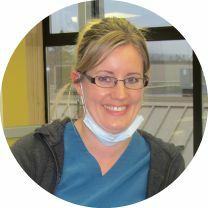 Amanda has been a hygienist since 2002 and joined our team in 2006. 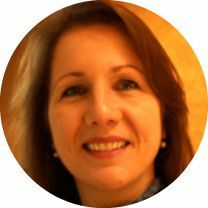 She has come to appreciate the ongoing rapport she has been able to develop with so many of her patients... she is loved for her gentle yet skilled treatment and personable approach. Amanda spends much of her free time with her husband in the outdoors, as well as chasing around their two sons. She can also be found doing yoga or trying her hand at anything creative!